Since its origin, ANKER has been characterized by its remarkable capacity for innovation. One of the major launches in the last fifty years is its Perlon Rips (1959), an extremely hard-wearing carpet manufactured from perlon, a synthetic fibre, that will become the flagship product for the carpet factory and a carpeting classic for the market. Then, in 1968, comes the introduction of a new method for carpet manufacturing: tufting. The flourishing contract carpet business includes fitting public and private office buildings, banks, schools and universities, hotels and restaurants, theatres, museums, libraries, hospitals and retirement homes, as well as housing projects. In addition to this come carpets for airlines, ships and trains. In 1990 ANKER launches the new “Chromojet-Spritzdruck” jet printing production method: in this process, an unbleached white carpet is colour-printed, using a movable print head. At that time, the company management also confronts the challenges posed by environmentally friendly production and, together with other German carpet manufacturers, creates an association for the production of environmentally friendly carpets. During this period, Anker makes substantial investments in modernizing its production equipment. In 1995, ANKER’s efforts are compensated with a prestigious contract to fit the German parliament building (Reichstag) in Berlin. Since the early 2010s, ANKER has consolidated its leading position in the development of high-end carpeting for upmarket commercial properties. The company from Düren produces the world’s first carpet with thermal embossing and the world’s first carpet that is entirely composed with recycled materials. Turnover increases significantly, in particular thanks to the development of the aviation market. Today, the company (8th generation) has a turnover of about € 50 million and employs 330 people. Johann Paul Schoeller, ancestor of the current manager of the company, Markus Schoeller, takes over the clothier workshop set up in 1717 by the brother-in-law, Wilhelm. In the generations that followed, Johann Arnold Schoeller (1747-1831) and his brother, Heinrich Wilhelm Schoeller (1745-1827), take over the cloth factory of their father. 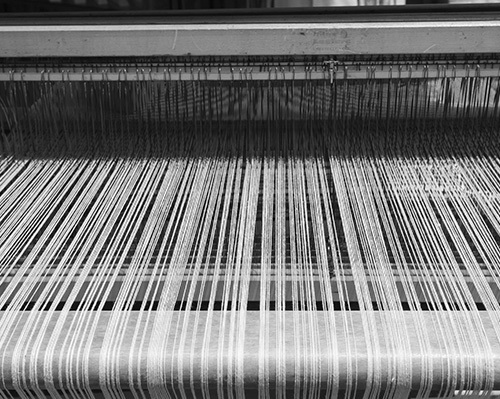 They decide to specialize in a forward-looking field of the textile sector, in fine rather than coarse cloth. The third generation of the Schoeller family, Johann Arnold’s sons Friedrich (1784-1860) and Leopold (1782-1884) Schoeller, take over the cloth factory. They manage to make the transition from manual to machine production of cloth.  Leopold buys out his brother and, together with his sons, manages the cloth factory under the name of "Leopold Schoeller & Söhne". Leopold Shoeller opens for his sons, Rudolph, Léopold Philipp, Philipp-Everhard and Alexander Paul, a "carpet merchants’ business" under the roof of his cloth factory. The Schoeller thus enter the most prestigious discipline of the textile trade: hand-knotted and richly colored oriental carpets, an activity whose production techniques they will change with the introduction of the "warp dyeing method". Philipp-Everhad Schoeller (1833-1904), representative of the 4th generation, assumes management in 1867 and, thanks to carpet production, business takes off. With Philipp Schoeller Jr. (1868-1932), the fifth generation succeeds to the management of the company. Under his administration, the carpet factory undergoes a remarkable boom. At the beginning of the 20th century, it employs more than 1,000 workers. During the First World War (1914-1918), production and sales collapse but business starts up again at the beginning of the "Roaring 20s". Anker begins to provide elegant and durable carpets to hotels and other large buildings – as well as to ships, dining cars, railway companies and even zeppelins. Werner Schoeller (1895-1976), elder son of Philipp Schoeller, becomes the 6th Schoeller generation in a row to take on the management of the company. He has the difficult task of safely steering the company through the war years. But the carpet factory survives, largely unscathed, the town’s destruction in 1944, thanks to the fact it was situated on the outskirts of Düren. It is the "economic miracle". Home decor changes: modern, easy-to-clean "wall-to-wall carpets" conquers private households. In 1959, Anker develops the right product for the new demands: "Perlon Rips", an innovative wall-to-wall carpet combining the comfort of a carpet with the durability, robustness and easy maintenance of hard flooring. In 1963, Anker sells 100 000 square meters of this product. 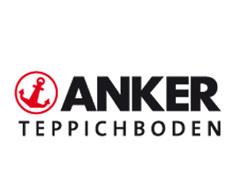 Alexander Schoeller (1925-1987), Werner Schoeller’step-son, seventh generation to take on the management of the company, equips Anker with carpet weaving machines of a new type and changes the name of the company, becoming "Anker-Teppichboden Gebr. Schoeller GmbH + Co KG". Markus Schoeller, oldest son of Alexander Schoeller, starts work in the company.